As an established multi-disciplined recruitment agency Imperial Professionals are pleased to launch their new specialist area of expertise in supply teachers. Offering supply solutions to a broad range of educational providers whether immediate or longer term from an extensive database of selected candidates. Based in Darlington our team of experienced dedicated educational recruitment consultants are committed to providing the best supply option across primary, secondary and SEND schools. We additionally can offer support to all other alternative learning provision organisations. 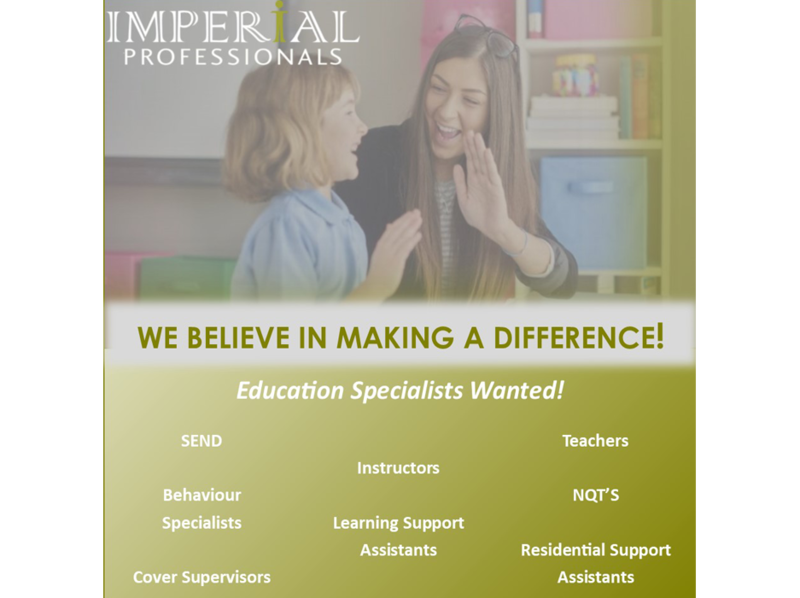 Why choose Imperial Professionals for your education personnel?